As market growers, we knew that winter squash storability and flavor improve with ripeness, so we were always on the lookout for an early butternut variety that matured well here in Oregon. Some hybrids come close, but most OPs require a longer growing season than we can provide. In 2005, we started growing every early butternut variety we could find, including Nutterbutter, Hunter F1, Butterbush, Early Butternut F1, Butterfly F1, and more. 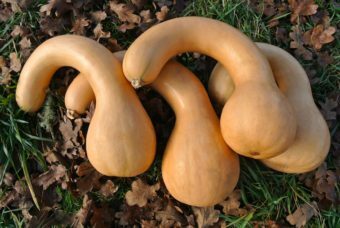 We allowed them to cross freely and have been selecting for early ripening and 2-4 lb fruit with a classic butternut shape. There is the occasional 6+ lb fruit depending on growing conditions. Because there were so many parents in this genepool, expect some variation, all within a classic butternut theme. 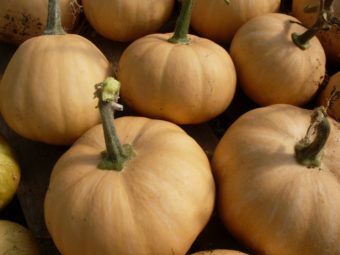 Why should every butternut be identical anyway?